﻿ Cabana Lipe Beach Resort, Koh Lipe | FROM $52 - SAVE ON AGODA! "The location was amazing ! Woke up every morning to watch he..."
Have a question for Cabana Lipe Beach Resort? "Located at the quieter end of Sunrise beach the position is perfect." "Right at the beach, great breakfast, clean rooms." "Hotel is very near the beach, maybe 10-15 walking steps away." 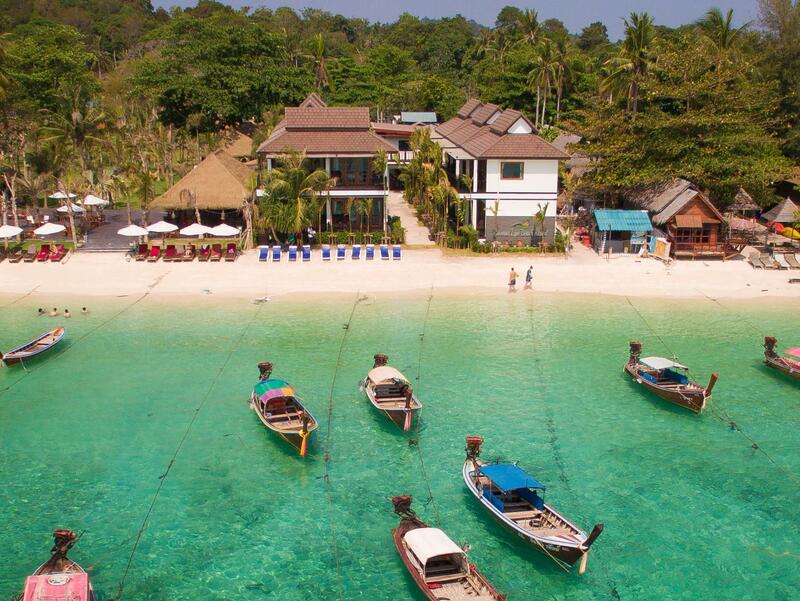 Cabana Lipe Beach Resort, located in Sunrise Beach, Koh Lipe, is a popular choice for travelers. Only 0.5 km from the city center, the hotel's strategic location ensures that guests can quickly and easily reach many local points of interest. With its convenient location, the hotel offers easy access to the city's must-see destinations. Offering hotel guests superior services and a broad range of amenities, Cabana Lipe Beach Resort is committed to ensuring that your stay is as comfortable as possible. Guests of the hotel can enjoy on-site features like free Wi-Fi in all rooms, daily housekeeping, ticket service, taxi service, express check-in/check-out. Step into one of 28 inviting rooms and escape the stresses of the day with a wide range of amenities such as television LCD/plasma screen, complimentary instant coffee, complimentary tea, free welcome drink, mirror which can be found in some rooms. Whether you're a fitness enthusiast or are just looking for a way to unwind after a hard day, you will be entertained by top-class recreational facilities such as snorkeling, massage. 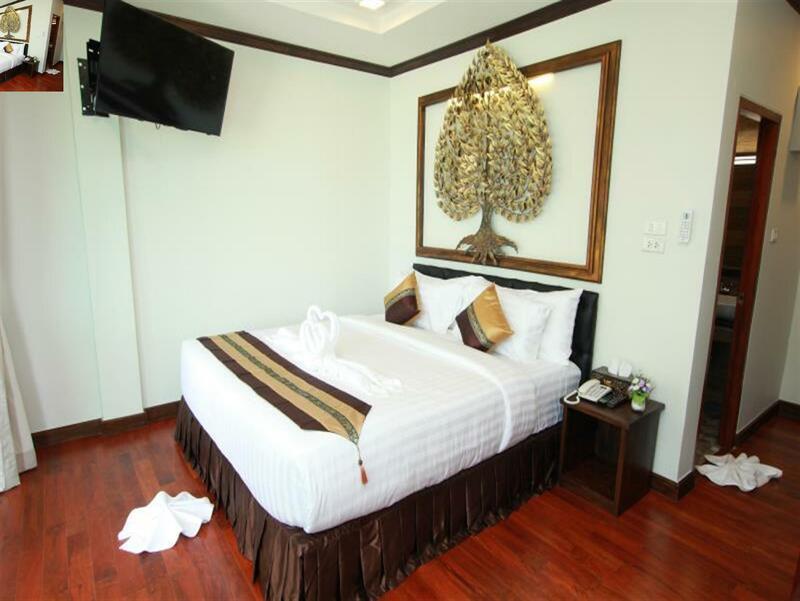 When you are looking for comfortable and convenient accommodations in Koh Lipe, make Cabana Lipe Beach Resort your home away from home. "Most importantly, the view of full sea view room is really r..."
Breakfast is served in front of the guest rooms. Guests can select preferred breakfast and delivery times upon check-in. Friendly staff, clean rooms , quiet AC. Breakfast good, sometimes cold eggs but otherwise good selection. Pick up and drop off to the boat Convenient location, near walking street ,sunrise beach is the best. Great snorkeling right off the beach. But if you are looking for a resort with pool, check out the Mali resort next door, has great pool, our kids went swimming there once, since they discovered the pool 2 days before we left. Otherwise Cabana Lipe was excellent, our kids are 7 and 10 and comfortably slept on pull out sofa in the room. Stayed in room A102 sea view. Location is perfect, with just steps to the most beautiful sunrises each morning. Breakfast is brought to your balcony at your requested time and is a great start to the day. The staff is always smiling and kind, and most helpful. The island is stunning and was the highlight of our Thailand trip, We would stay in this hotel again. Clean and spacious rooms. Location is close to Walking Street and right at sunrise beach. Unfortunately there are many boats at this beach so it's not very inviting to swim, but there are great spots nearby (walking distance). Staff was very nice and welcoming and always happy to help. We stayed in the sea view room three nights during Christmas. The first night we only got the part sea view room which made us unsatisfied. The next day, we had the full screen sea view room after the previous customer checked out. The staff is helpful to solve the problem. Most importantly, the view of full sea view room is really really beautiful, the sunrise can be seen at the balcony. I enjoyed the breakfast every morning at the balcony. My wife and I stayed 4 nights at Cabana Lipe Resort on Sunrise Beach. We had an ocean front room, and the ocean was 20-25 feet from the front porch at high tide. Nice, clean room. Good variety for breakfast. Like many other Sunrise Beach hotels, access is through alley where locals live. This is my only negative comment. Great staff. Staff very friendly and attentive. Very good cleanliness. Great room, very comfortable bed and bathroom. Aircon provided. Nice terrace. Breakfast could be better, no fresh juices, we had breakfast 3 days in the hotel and decided to have the other two outside. About location, if you are looking for a quite place close to the beach (quite beach) then, this is your place, otherwise, it is a bit out of the town. We really enjoyed our stay here. We were picked up at the pier with our bags, and taken to the resort. Really nice resort, on the beach, although it's not an ideal spot as its a long tail boat parking area, you can snorkel out to a decent spot a 5 minute walk / swim out (it's not deep at all). Excellent rooms and nice breakfasts made to order in the morning. Taken back to pier upon check out. Good service throughout, definitely recommend! Firstly let me say I loved Cabana and will return. Lack of a restaurant means your breakfast is served on your balcony, watching Sunrise Beach wake up - if you are a big breakfast person you not be satisfied. The staff are very nice and helpful. There are areas that could be improved - Housekeeping is a little obtrusive with laundry everywhere, and the local children and dogs should not be allowed to play on the sunbeds. The route in may be off putting to some - but it’s real Thai life. Thanks Cabana! We traveled for a belated honeymoon last August and glad to have chosen Cabana Lipe for two nights! At best is that it is beach front with great sunrise view and with relatively newer/modern spacious rooms, with FREE sumptuous breakfast set (generous serving from a choice of Thai, Western and Healthy breakfast set). Worth noting also is the warmth and kindness of the staff, from the reception and ground staff/driver. Given its great reviews all over, its rates are quite lower than some of the adjacent high-end/upscale resorts. Shout out also for the honeymoon bed arrangement to welcome us! We will definitely be back next time in this hotel! Very nice place to stay in Lipe. Really nice, big rooms with nice balcony area too. Good breakfast brought to your balcony table on time. Very good location on a lovely beach. Although there are quite a few longtail boats outside its ok as a few yards to the right as you step on to the sand there are none because of a coral reef. Great place to swim and snorkel as there are so many fish to see. Nice hotel right on the beach. Comfortable bed good breakfast serve right in front of room with view of ocean, Nice helpful staff. They even pick you from the boat to the hotel. I’ll stay there again if I ever come back. Very good service for all, breakfast, pick up at pier, helping anything. Sofabed is wide and long, children can sleep well. So here is good for family stay. This resort is not deep inside unlike another resort, so any room is close to the beach. Easy to go to swim and come back. I stayed before high season, so they gave me discount a lot. So I'm very satisfy, I got much service more than I paid. Depend on price. If I have to pay 4 times more than when I stayed (I checked new years price, around 400% of my price), it's over price for the room and service. If I can go again during discount price season, I choose here again for sure. Cabana Lipe is located directly at Sunrise Beach and just 5 min. walk from Walking Street. The room was very clean, breakfast is served on the balcony and there are showers at the beach too which comes very handy. All in all I would recommend this hotel, I was just bothered about all the long tail boats “parking” directly at the beach. The beach at Koh Lipe is just a perfect beach one can imagine but it’s really spoilt by all the boats which are used for island/ snorkeling trips etc. at least at sunrise beach this was the case. You really have to look out for a free spot where you can have a swim. AC While most people like to have an AC in the room, in our case, we didn't. Two of us got the flu because of the coldness of the air. Switching it off wasn't an option because of the mosquitos. Recommendation: please install ceiling fans and mount mosquito nets for those who prefer fans over AC. And it consumes less power! Breakfast It's good to order breakfast in the evening, but it comes in too many plates with too much plastic wrapping. And sometimes a lot of food remains which gets thrown away. Suggestions: what if you have a central place (e.g. next to the reception) where you can lay out the breakfast buffet for people to choose from and take to their terraces to eat there. This will save food and won't need for any plastic. Other than these two points, nothing to recommend and place highly recommended! Cabana lipe resort located not near to Main walking street, so have to walk a little bit, But that is fine for me, because the street also not much shops, I can take my lunch or dinner nearby the beach, is winding. there is several restaurants available with short walking from cabana. It is quiet beach not so crowded. They provided shuttle car upon arrival/departure. They are serving the breakfast at balcony which portion quite more for me, just the variety is not much of choices. I add on additional bed, the bed is able to sleep for two persons, quite good for big family, price also reasonable. I check through agoda messenger, Chomsurang is very responsive. Staff are polite and nice! One comment to the resort to feedback beach’s management (a few resorts at the beach area) that the beach with some glass shards found at beachside. Which is dangerous for the swimmers. Overall, it is perfect for stay! stayed 4 nights plus one extra due to ferry issues caused by monsoon weather. We loved the hotel and Koh Lipe especially as it was quite quiet during off season. Definitely would go again and pick this hotel. We took 4 days in Koh Lipe in the off season for sun, sea, a little diving and some Thai food and relaxation. The hotel was very nice, it's clean and easily within access of walking street. The only downside was the rain as it was monsoon season, but it didn't really bother us. Food is fine. Hotel is located right on the beach. Major downside was that ferry from Langkawi couldn't get to us on the last day so we had an extra night in Koh Lipe and the ferry service and handling of passengers is quite poor.